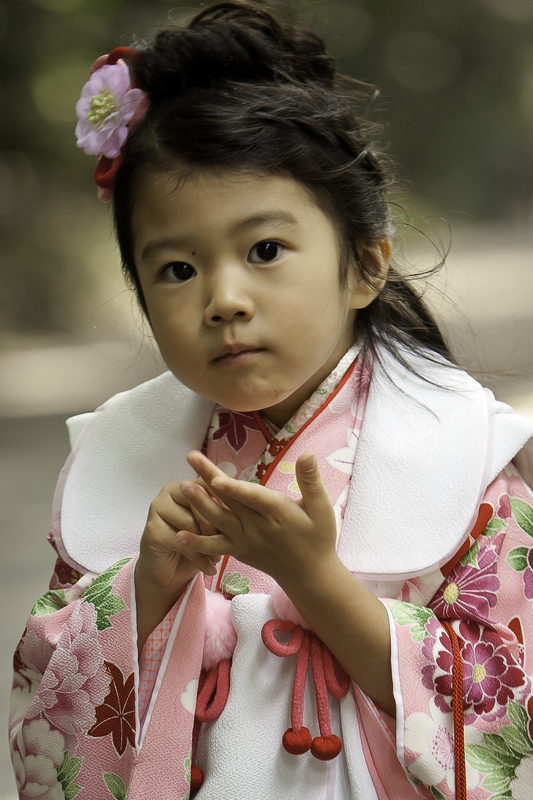 Shichi-Go-San (literally 7-5-3) is a Shinto ritual in Japan, during which 3-and-7-year-old girls and 5-year-old boys go to the shrine with their parents, to perform a purification rite and be presented to Ujigami, the Shinto guardian for good health. 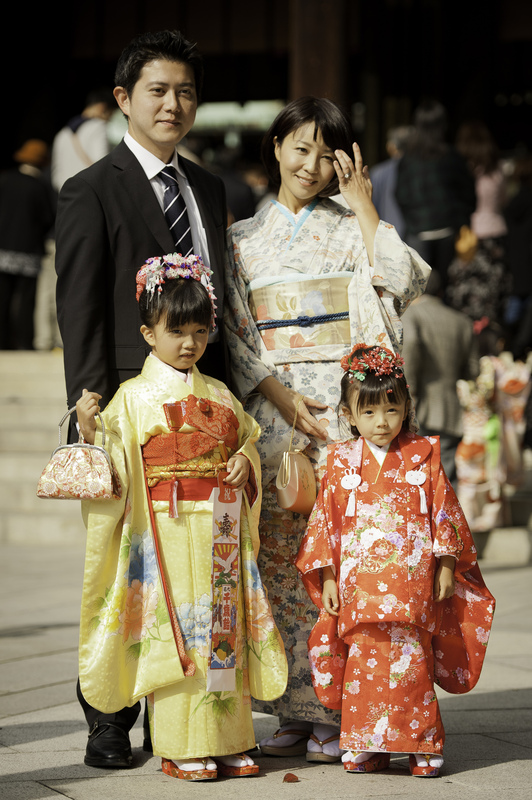 This is the occasion for those children to dress-up, sometimes for the first time, in traditional kimonos, which makes this tradition a must-see for foreigners, whose eyes will be pleased by the bright colors and countless types of patterns on the children’s traditional clothes. 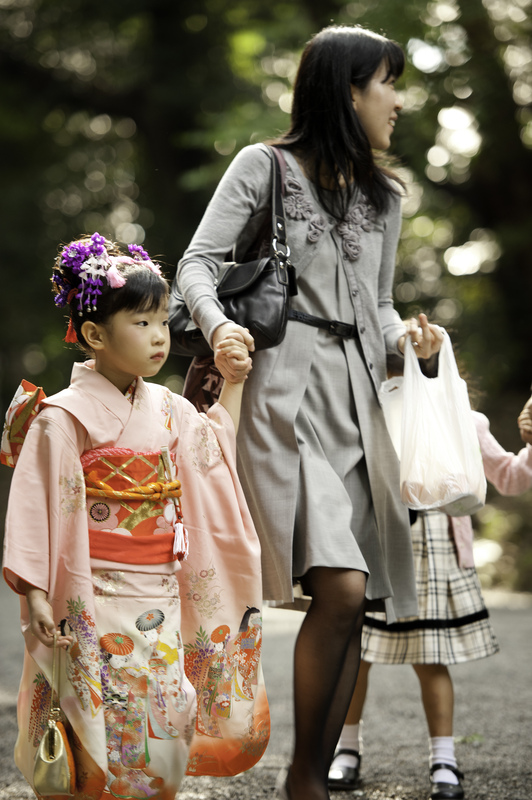 The official date for the ritual is the 15th of November every year, but most families will go during the week-end around that date, since family with working parents cannot go on the specific day. 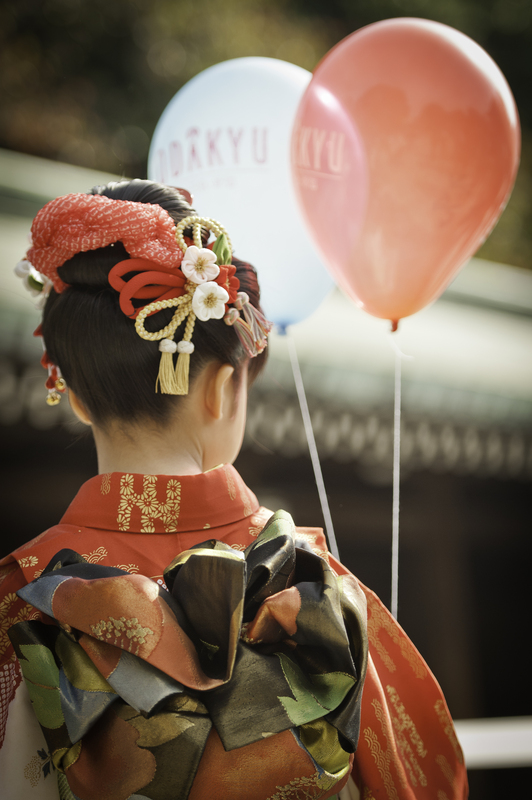 If you happen to be in Japan around those dates, it is definitely a sight you don’t want to miss! You can see the Shichi Go San in any shrine wherever you are in Japan, but two of the most popular (and crowded) spots on that day I know in Tokyo and can particularly recommend are the Meiji Jingu and the Yasukuni Jinja.